While Microsoft's focus on the CPU was efficiency, with the Xbox 360's GPU, it pulled out all the stops. Designed by ATI, Microsoft controls the IP of the GPU; meaning, Microsoft can manufacture and do what it wishes with Xenos (although we're assuming that they can't stick it on graphics cards and start selling it to the public). The GPU also acts as a North Bridge in the system, but we'll get to that role a little later. Like the Xbox 360 CPU, we've talked about the GPU in great detail in the past, but we'll briefly go over the highlights here. The buzzword that was around the Xbox 360 GPU's announcement was of course, its use of a Unified Shader Architecture. Modern day PC GPUs feature separate pixel and vertex shader units, which are collections of execution units and associated logic to handle pixel shader and vertex shader instructions. The Xbox 360's GPU features a single set of execution units and logic that can execute both pixel and vertex shader instructions. The benefit of a unified shader architecture is greater efficiency, as we mentioned in our original piece on it: "The unified shader architecture that ATI chose to use in their Xbox 360 GPU allows them to pack more functionality onto fewer transistors as less hardware needs to be duplicated for use in different parts of the chip and will run both vertex and shader programs on the same hardware." There are 48 shader units in the Xbox 360 GPU, but given that we're dealing with a unified shader architecture, you can't compare that number directly to the 24 shader pipelines of the GeForce 7800 GTX for example. We roughly estimated the shader processing power of the Xbox 360 GPU to be similar to that of a 24-pipeline ATI R420 GPU. 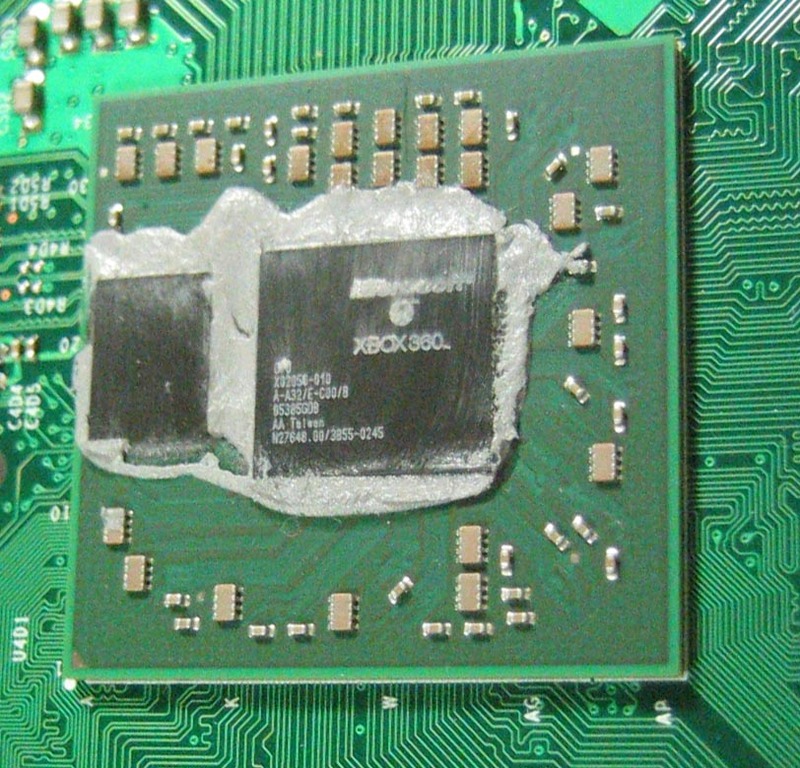 The other big feature of the Xbox 360 GPU is its dual die construction. The 332 million transistor GPU is split into two separate dice, the larger of which looks like a conventional GPU, and then a smaller die (aka daughter die) that is a 10MB block of embedded DRAM (eDRAM) combined with the hardware necessary for z and stencil operations, color and alpha processing, and anti aliasing. The daughter die connects to the larger die via a 32GB/s on-package interconnect. The logic and embedded DRAM on the daughter die is what allows the Xbox 360 GPU to essentially offer "free" anti-aliasing, which Microsoft enforces through requiring developers to support a minimum of 2X AA in all Xbox 360 titles. Although we were originally told back at E3 that all Xbox 360 titles would support 4X AA, it seems that the statement has since been revised to 2X or 4X AA. We're not certain why the change was made, as 2X and 4X are both effectively "free" on the GPU, but there may be something we're missing. On a smaller manufacturing process, the dice could be unified, as they are only separated right now in order to improve yields. 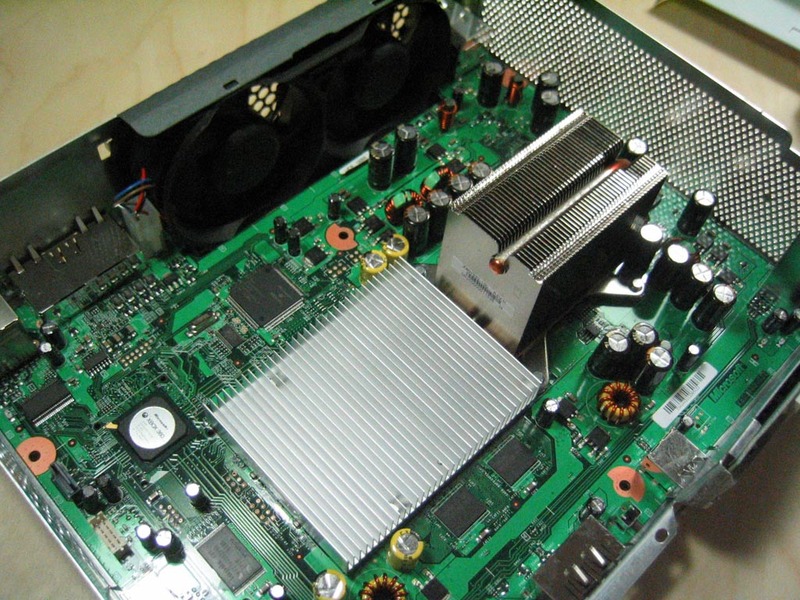 Impressively enough, the GPU is cooled by a fairly low profile heatsink, with the two rear case fans in the Xbox 360 providing all the airflow over the heatsink's fins. For a more in-depth look at the Xbox 360's GPU, head over to our original coverage of the architecture back at E3. With a completely different CPU ISA (Instruction Set Architecture) and a GPU from a different manufacturer the Xbox 360 is a very different beast than the original Xbox, thus backwards compatibility had to be done via software emulation. Microsoft recently announced the 212 original Xbox titles that would be backwards compatible on the Xbox 360 at launch, you can view the entire list here. In order to take advantage of the backwards compatibility you need to have the removable hard drive attached to the Xbox, as a software patch will have to be downloaded from Microsoft's servers. The download process will happen automatically and you will be alerted if the title you're attempting to play does not yet have a patch available for it. With the Xbox 360, Microsoft hopes to usher in the era of HD gaming, first and foremost by requiring all Xbox 360 games to support 720p (1280 x 720). Unfortunately, we have yet to hear from Microsoft if this means that all games must be internally rendered at 1280 x 720 or if they can be rendered at a lower resolution and upscaled later on. There have been discussions involving at least one Xbox 360 game (Project Gotham Racing 3), rendering internally at a lower resolution and having the Xbox 360's TV encoder upscale it to 720p. You don't have to have a HDTV, but obviously owning one will give you better overall image quality. The Xbox 360 supports all of the most popular video formats: 480i, 480p, 720p and 1080i. There is no out of box DVI or HDMI support, nor is there any Microsoft support for either of those video interface standards at this time, although Microsoft has indicated that they may offer HDMI support when it makes sense to. There is, however, an optical output, but the cable is not included. 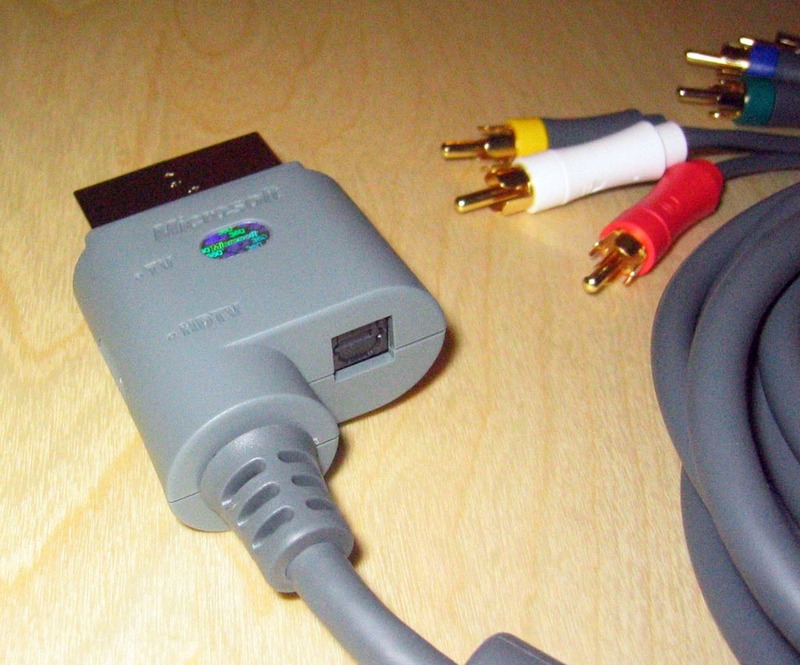 If you don't have a HDTV but you have a VGA monitor that you'd like to use, Microsoft does offer a VGA cable that will allow you to connect your Xbox 360 to a VGA monitor. If you don't have a HDTV or a monitor but still want a higher quality output, Microsoft also offers a S-Video AV cable.